During the past year I've conducted a bushcraft knife field test comparing 15 different robust medium sized knives. You can see the test by clicking HERE. One of the contender was the ESEE Knives ESEE-4. The American company Randall's Adventure & Training (RAT) was founded in 1997 and since then the company have educated profesionals and civilians in the art of jungle survival. 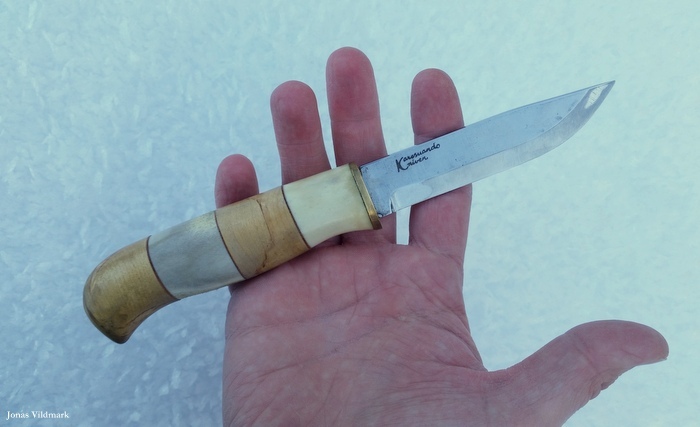 The owners Mike Perrin and Jeff Randall has big experience from spending time in jungles like the ones in Central and South America. 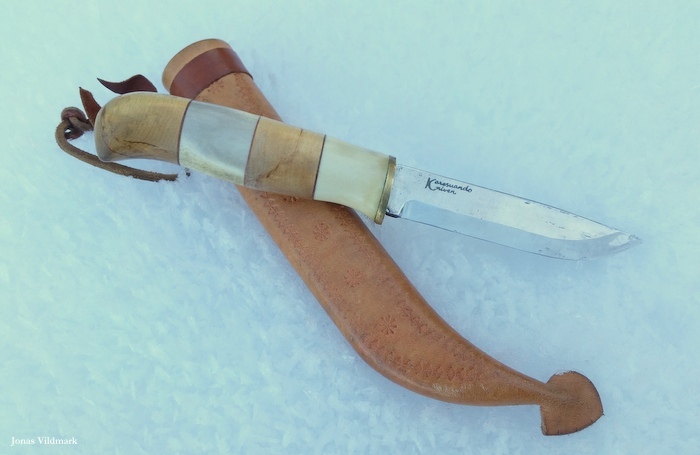 RAT’s first knife model was the 40 centimeters long RTAK initially developed together with Newt Livesay at the company Wicked Knife Company. The RTAK was a success and to be able to meet the customers requests RAT moved the production over to the Ontario Knife Company (OKC) in 2002. OKC also helped out in developing new knife models but in 2007 the cooperation was ended and Mike and Jeff decided to take care of the production themselves by starting the company RAT Cutlery, today known as ESEE Knives. 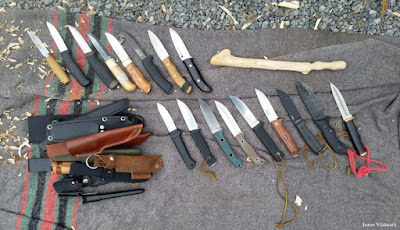 OKC still produce a RAT series but these knives shouldn't be mistaken for ESEE Knives.Today ESEE Knives offer a wide range of knife models; from folders to big machetes and most products are produced at Rowen Manufacturing in Idaho Falls, Idaho. 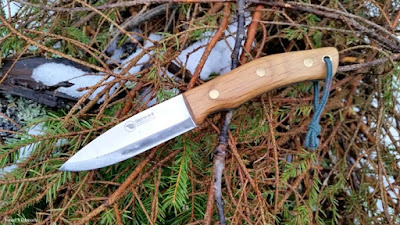 The main users of ESEE products are military and police but lately more and more hunters, bushcrafters and hikers are starting to pick up these knives. 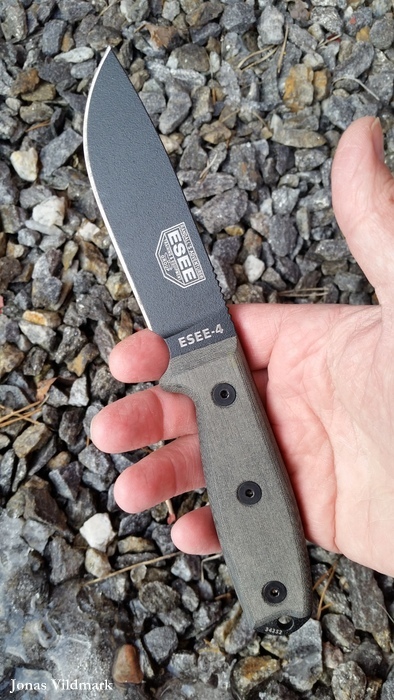 The clean and robust design of the ESEE-4 consist of a wide carbon 1095 blade laser cut from a single piece of steel hardened to 57 RC. 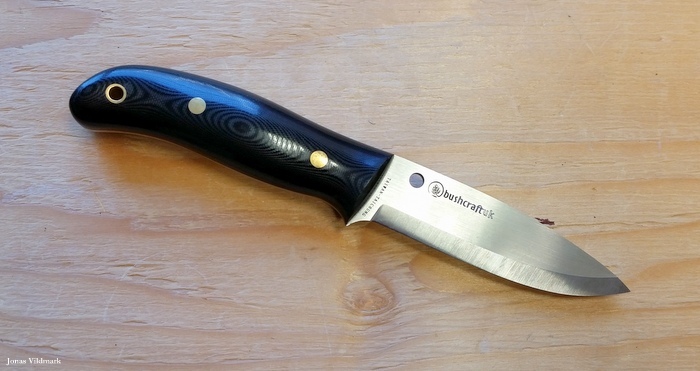 The protecting black powder coating gives a rough structure to the 117 mm long drop point blade. 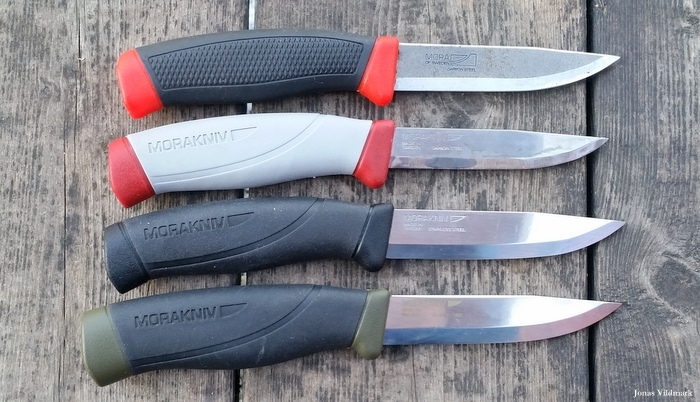 The micarta scales and the red liners are mounted by hand and the secured with Loctite. 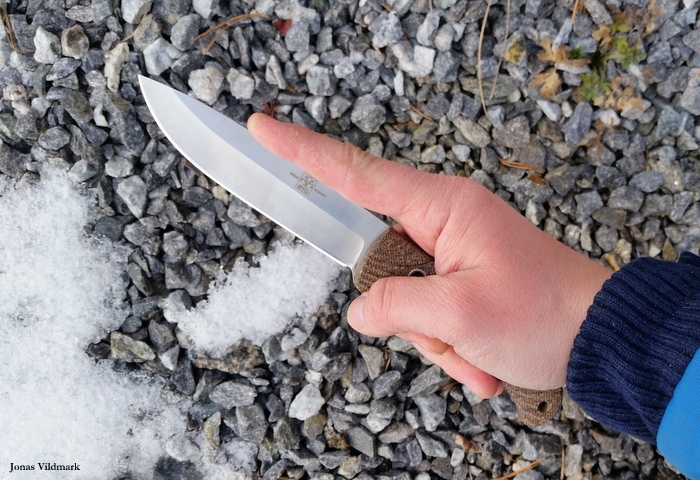 The ESEE-4 is also available in stainless steel, partly serrated and in different colors. The plain edge use a full flat grind edge profile. 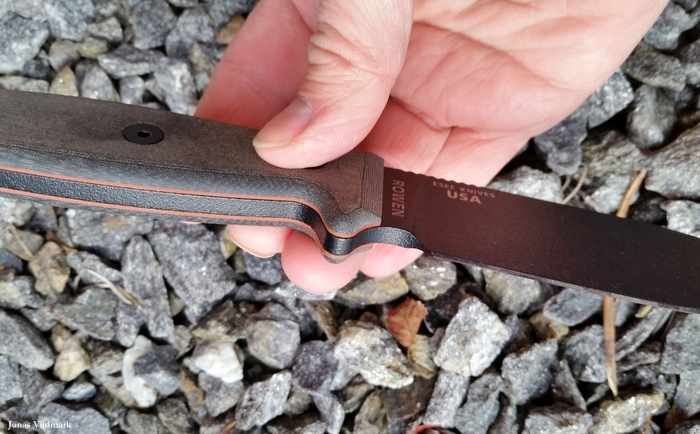 A nice feature with ESEE Knives is the unique serial number found on every knife. The carrying system consist of a molded plastic (Ambidextrous Molded Polypropylene) sheath that together with the extra kit offer a very flexible system, including MOLLE. 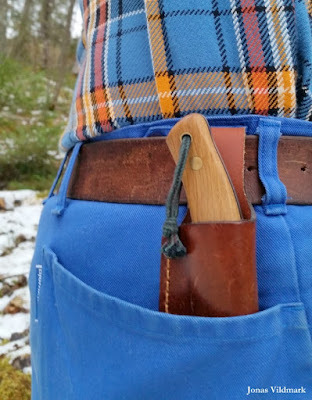 The knife locks in nicely in the sheath and the system offer easily accessibility. 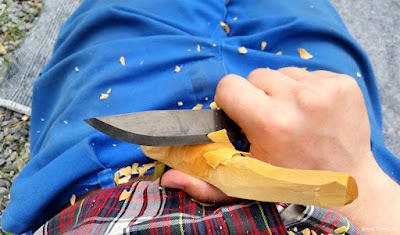 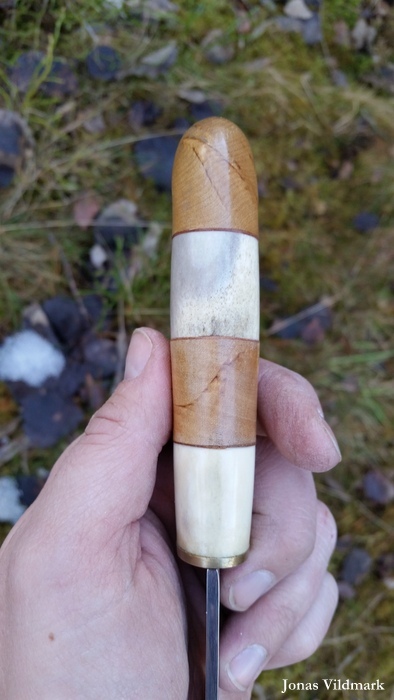 My definition of Bushcraft includes a big portion of wood carving. With this in mind the flat handle of the ESEE-4 results in a 11th place in my bushcraft knife field test. 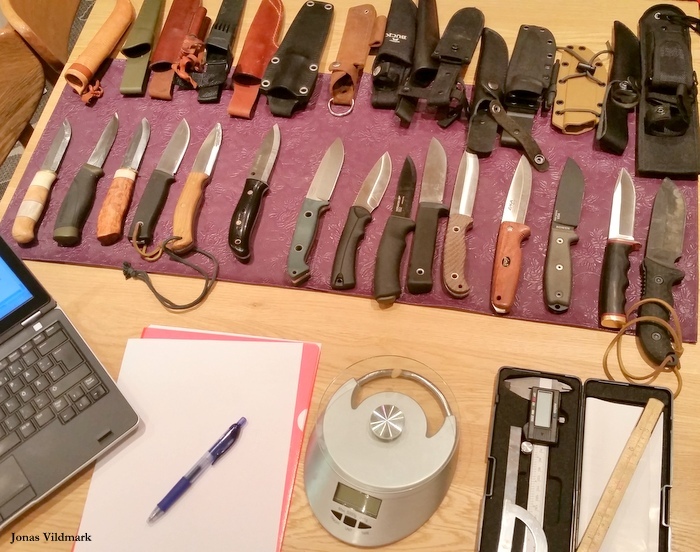 However at this moment ESEE is launching alternative scales to the ESEE-3 and ESEE-4. 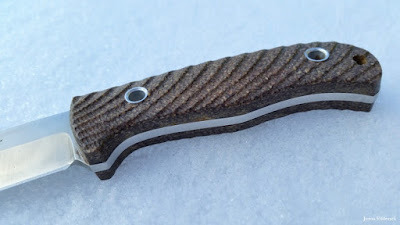 These new scales are influenced by the new bushcraft knife series ESEE Knives call Camp-Lore. These interesting new products are a good sign of ESEE listening to the growing bushcraft audience's love for whittling friendly shaped handles and leather sheaths. 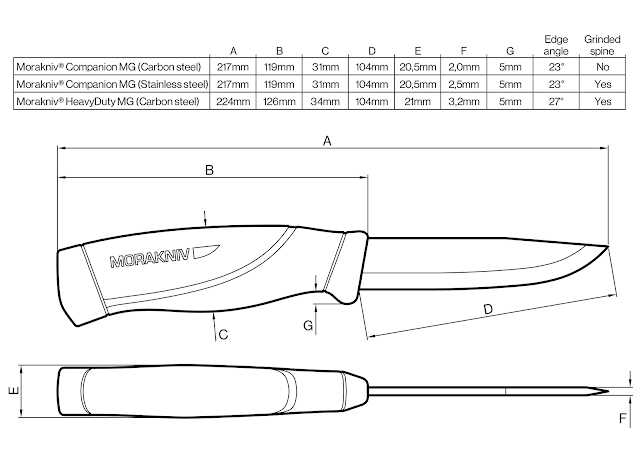 I'm looking forward getting the opportunity to test these new products, especially the Camp-Lore-modellen RB3. 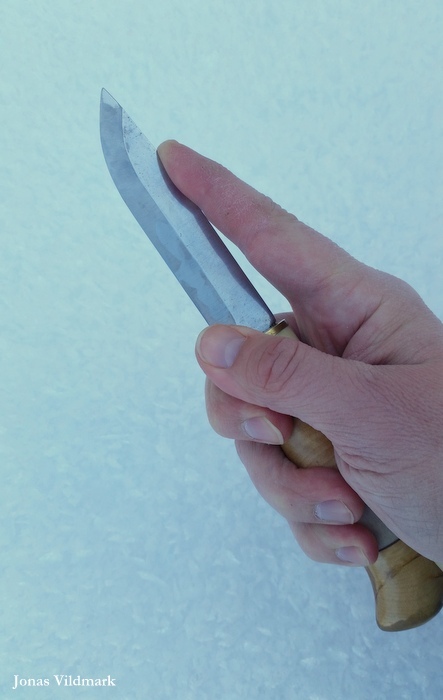 If you want to modify your old ESEE one way is to imitate the original feature of the ESEE-5; a bow drill divot in the handle. 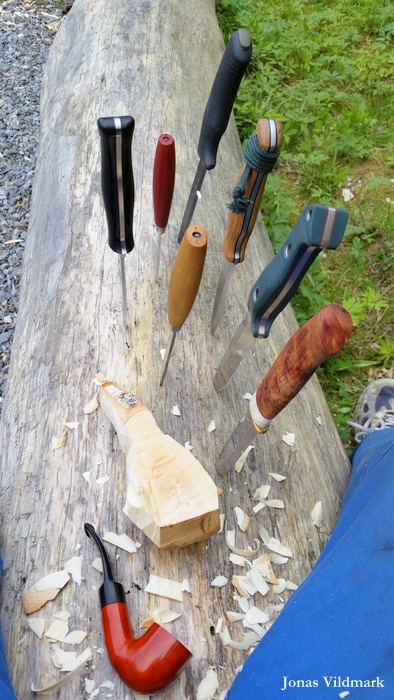 If you remove one of the screws in the handle you get a divot. 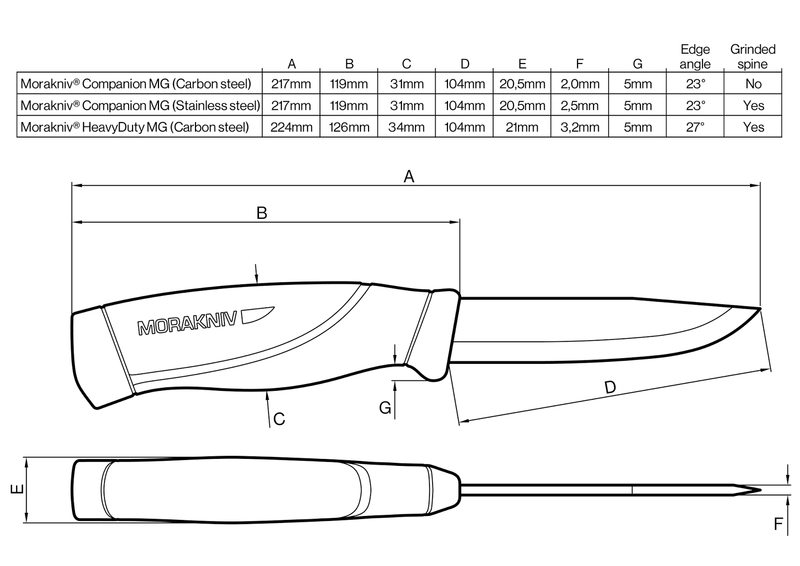 If you also make the scale hole bigger you enable the bow drill spindle to rotate freely only countering the low friction of the tang steel. However; mind keeping the sheath on the blade while using your knife as a spindle socket to avoid injuries. I like the ESEE-4's carbon steel and the look of the knife. 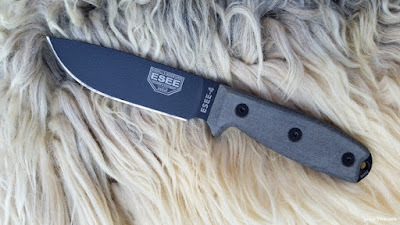 Another nice feature is the life time warranty ESEE offers. 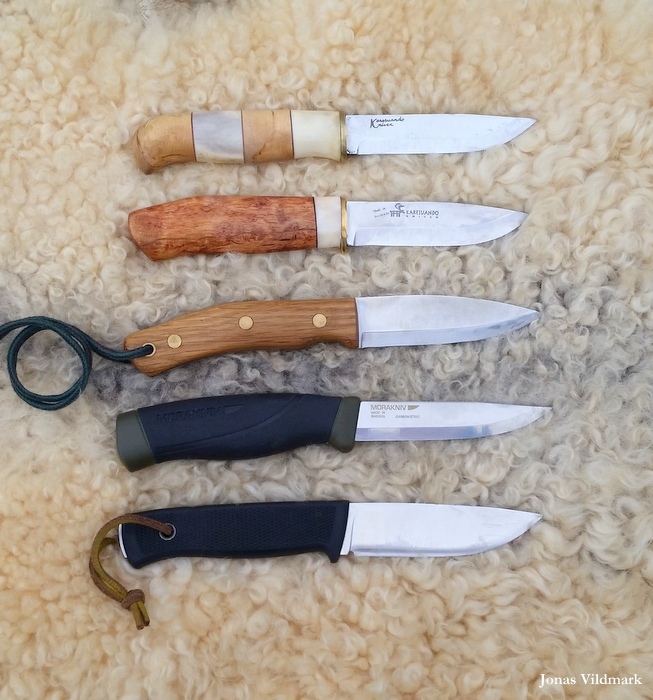 To see more about ESEE Knives and their model Izula II; I can recommend you to read my magazine article inside Vapentidningen nr. 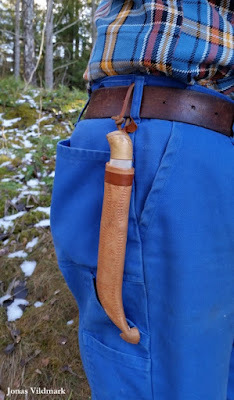 9 - 2015.